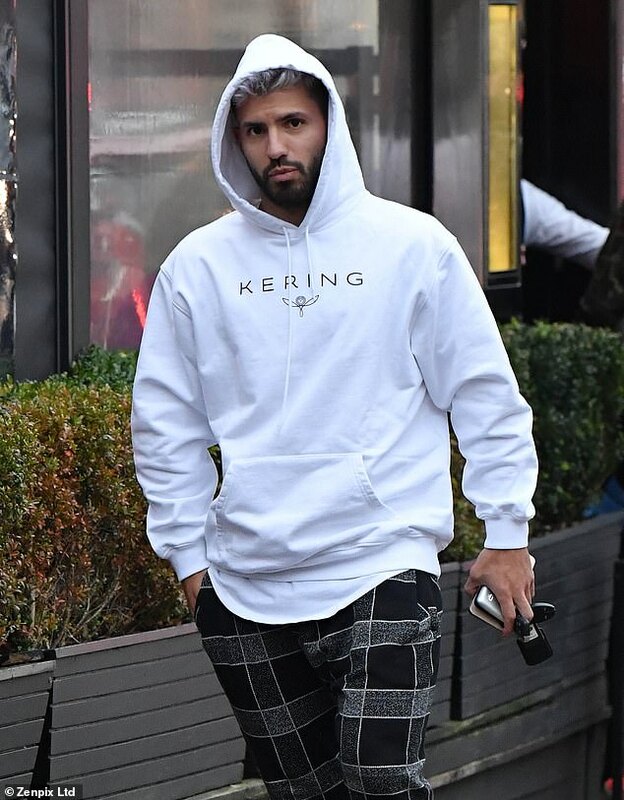 Manchester City face a massive game against Liverpool on Thursday, but that didn’t stop Sergio Aguero having a chilled time out on the town on Wednesday. The prolific City stiker was out with a mystery brunette, who has not been seen in any social media posts made yet by the Argentine. Aguero was out in a white hoodie, while the mystery woman was wearing knee high boots, jeans and a low-cut top. Thursday’s match is a huge one in the title race. Liverpool are currently six points clear of Tottenham with a game in hand. Plus, they’re seven points ahead of Manchester City, who are in third. A victory for Liverpool would take them nine points clear at the top. A few weeks ago it seemed like City might be running away with the title, but two shock losses over the Christmas period to Crystal Palace and Leicester City have handed Liverpool a big lead. Liverpool capped off a 2-0 win over Wolves and a 4-0 win over Newcastle over Christmas with a 5-1 thumping of Arsenal at the weekend. Meanwhile City lost 3-2 to Palace and 2-1 to Leicester on Boxing Day, although they did bounce back with a 3-1 win over Southampton on Sunday. Sergio Aguero has made 21 appearances for Manchester City so far this season across all competitions, scoring 13 goals and getting four assists. City manager Pep Guardiola has spoken about urgently trying to restore his players’ confidence ahead of their clash with Liverpool. He has been reminding them of how strong they are in an attempt to get them back to their usual form. What should I say to my players after what they have done, even this season? The amount of joy they gave us, for all football fans, it is impossible,’ he said. City have scored 54 goals in the league so far this season, but Guardiola doesn’t think that’s an accurate representation of the way they’ve been dominating games. He wants more goals from the team, despite being six clear of rivals Liverpool in that category. In the build up to the game, both Guardiola and Liverpool manager Jurgen Klopp have labeled each other’s teams as the best on the planet, as the mind games continue to heat up.